1981, in Eindhoven, a group of teachers got the idea of reconstructing a farm where children would be taught in prehistoric themes. “Learning by doing by yourself” was the starting point. Since that moment, it has developed into an archaeological open-air museum of 2 hectares with about 20,000 schoolchildren and 40,000 tourists visiting annually. The museum is situated in a park like area “Genneper Parken” in the southern part of Eindhoven, one of the largest cities in the Netherlands. It is being run by a private foundation with support from the local government. In the first fifteen years, the museum slowly developed form one single shed into a small Iron Age village with two farms and a smithy as core with many small buildings around as well as haystacks and herbal gardens. Originally, HOME was very much focussed on school children. In the late 1980s, attention shifted towards tourism, although education is still a very strong point. 2002, with European STIMULUS support a new medieval area was added with 4 larger houses and some amenities. In the same time, professionalization started: a restaurant was added besides different other secondary services. The museum has many employees as well as a large group of volunteers. The museum “serves” schools as far away as Dutch speaking Belgium, partly because there are no archaeological open-air museums of this kind there. The programmes offered have a clear link with the curriculum, and do not only contribute to the history lessons. The museum is open for tourists between April and October, in Winter time on Sundays. Mondays to Fridays, focus is on education groups, weekends and holidays are targeted on tourists. There is one event per month, themed with Romans, a Medieval Fair, a Viking Market et cetera. There are no audio guides available; information is in a paper guide, a guided tour and available from living history actors on the given dates. 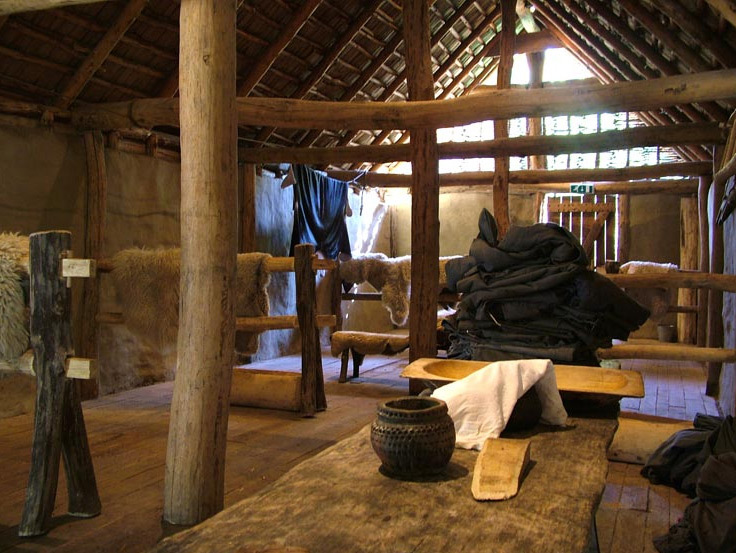 The museum has an extensive website with information about Iron Age and Medieval themes. In 2011, the local showcase museum, Kempenland, was merged with the archaeological open-air museum, although still on separate locations.